Pyro-like special effects with cryogenic gases. Cryogenic liquid nitrogen or liquid CO2 can be used for making plumes of fog by condensation of water vapour. This visual effect can be dramatised using the right illumination techniques. An advantage of this method of “smoke” generation is that the plumes immediately dissipate without leaving a haze and will not trigger smoke alarms. The plumes have a certain cooling effect on audiences. 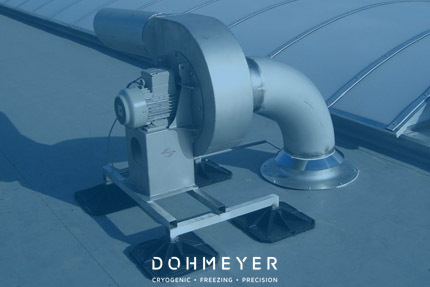 Monitoring of oxygen and/or CO2 concentration in the ambient air is mandatory. 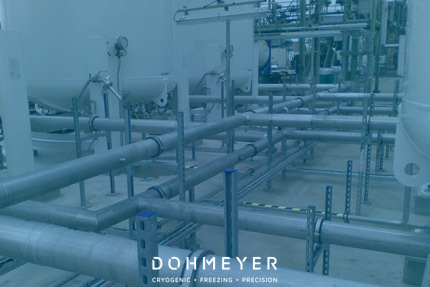 Dohmeyer builds the special ejection systems to create the fog, and installs the super insulated vacuum lines for the supply of liquefied gases to the ejectors (CO2 jets or N2 jets). 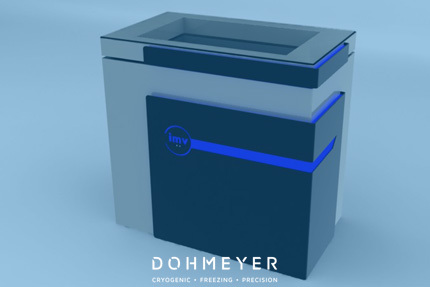 The most powerful blast of fog ever produced came from a Dohmeyer CO2 jet. Experience the instant fog effect and create a safe but impressive chill effect!